Pristine. Exhilarating. Epic. These words succinctly describe Ferry Corsten's music. Ferry Corsten delivers his fourth full-length studio album, WKND (Flashover), on February 24th. Blinding flashes of brilliance ensue from the first track through to the last, 15 in total including a bonus track. Tight, punchy and radio-ready, the carefully crafted tracks on WKND are as well-suited for a packed dancefloor as they are for afternoon-drive on pop radio. With this attention to detail, it's no wonder Ferry Corsten is today amongst the most sought-after artists in the world. What Ferry Corsten creates in music is the sound of nowâ€¦.not following any trends in pop/dance radio, but rather setting them. WKND showcases Ferry Corsten's artistic diversity. From the peak-time festival crowd-pleasers to the radio-ready pop songs and every step in between, Corsten paints with masterful strokes. The result is a collection of meticulously built tunes in perfect keeping with the sound of today. For die-hard EDM lovers, Corsten delivers a stable of epic, anthemic tracks. From the mainroom-killing "Brute" with fellow superstar, Armin van Buuren, to the punchy "Take Me" and the electro "Don't Be Afraid"
with its enormous build and resounding breakdown, Corsten generates a sense of apocalyptic urgency that's nonetheless melodic and beautiful. "Sunday," the bonus track, is written in a minor chord and is eerily good with its stuttered vocal stabs and warm bassline. Likewise, "WKND," the title track, digs deep with its rumbling bottom and rejoicing synths before exploding with crushing ferocity. Ferry Corsten gives a nod to tech-house with his hugely successful take on Phiulippe B. vs Todd Terry's classic house music anthem, "Can You Feel It,"
Corsten's brilliant rework having recently become a mainfloor mainstay of heroic trance proportions. her super-charged vocals bringing smiles of ecstasy to club-goers' faces. The equally inspiring albeit slower tempo "Walk On Air" featuring Pierre In The Air & Amba Sheperd is also a glimmering jewel. Ferry Corsten tackles and conquers the mainstream with a series of pop radio-friendly songs that have "hit" written all over them. It's impossible to choose a favorite between this many gems. Take the soaring, sunshine-y song, "In Your Eyes" featuring JES, or the immaculate, annihilating ballad that is "Not Coming Down" featuring Betsie Larkin, and both are winners. Corsten proves that, in the right hands, male vocals can be just as hook-y, as exemplified by the previously released hit single, "Check It Out,"
and the storming "Love Will," the latter featuring Duane harden. the luscious sonic pleasures of "Live Forever" featuring Aruna, and the dirty electro-house of "Ain't No Stoppin'" featuring Ben Hague. In the cutthroat world of A-list producers, evolution and adaptability become the keys to longevity. including by: U2, MOBY, DURAN DURAN, PUBLIC ENEMY, WILLIAM ORBIT, NELLY FURTADO, FAITHLESS, THE KILLERS and many others. 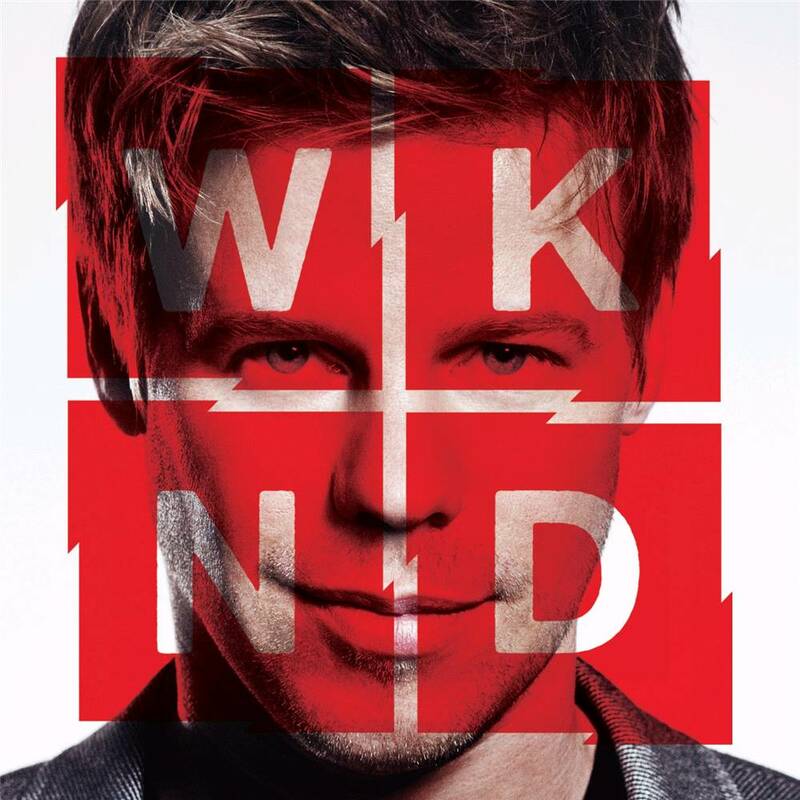 As an original artist, WKND marks Ferry Corsten's fourth full-length artist album. Corsten's previous studio albums were: Twice In A Blue Moon (2008), L.E.F. (2006) and Right Of Way (2003). With two decades as a professional performer under his belt, many of Corsten's compilations reflect his live sets at any given time. His many compilations include, Trance Nation, World Tour and Passport, and more recently, installations one and two of the wildly popular Once Upon A Night series. Once Upon A Night-Vol.2 hit the "#1" sales position on the iTunes Dance Chart (U.S.) within its first week of release. Best-selling singles from Ferry Corsten have also been numerous over the years, and fans still clamor to hear them in a live setting. Those singles include: "Punk," "Gouryella" (with TIÃ‹STO), "Walhalla," "Cry," "Rock Your Body Rock," "Fire," and countless more. Today, Ferry Corsten heads his own Flashover Recordings imprint, releasing his own music and that of other promising talent. Corsten's weekly "Corsten's Countdown" internationally syndicated radio mixshow can be heard in more than 50 countries including Sirius XM Radio in the U.S. High-quality, full-length artist albums by EDM producers are few and far between. With WKND, Ferry Corsten again raises the bar.